The perfect real estate investment is one that has high returns and very low risks. To achieve this, you need to be able to make smart decisions. The following three things make for an excellent real estate investment to help you get started. The first thing is to find something with a good return on investment. To invest in the illiquid asset that is real estate, you will have to take money out of your liquid assets. You need to make sure that the rate of return you get is similar to the one you were getting through liquid investments. Basically, you must find good cash flow properties, not money pits. Next, you must make sure your investment isn’t too risky. There is no such thing as risk-free real estate, but some risks are too high to take. Try not to choose private real estate funds, fixer uppers, real estate development and tenant-in-common options. Invest in these options and it is unlikely that you will ever see a return. A much better idea is to title interesting properties to yourself. Naturally, this means you need to take the time to do research and analysis, and you must exert due diligence. Next, you need to find a property that doesn’t require a lot of management or time. Avoid short term rental properties like vacation homes or student accommodation, or properties in bad areas for instance. You should look for properties that people with good credit profiles will rent for extended periods. This does require a commitment on your side to treat your tenants with the respect they deserve. It is impossible to never have a problem with your property, but so long as you deal with issues quickly, this shouldn’t be anything to really worry about. These are the things to look for in good real estate investments. You want a property that requires minimal maintenance and management. Unfortunately, it can be quite hard to find properties like this. You need to have the time available to actually find these properties. You must spend the time to analyze and research any options available to you. Generally speaking, when someone wants to invest in real estate, they just want to get started straight away. Even if you have been searching the market for a long time, you should never invest in a property that you are not sure about. Make a wrong decision in the world of real estate, and you stand to loose a great deal of money that you may never be able to recover. Many individuals are now investing in real estate so if you are going to sell your home, you must do it right now. The only concern here is that selling a property is very challenging. Many of you have possibly seen articles saying that selling a property is simple or you have came across advertisements informing you that they will probably be able to sell your home in weeks. You may reduce the price of your house since it’s going to be more desirable to the buyers, but this isn’t a good thing to do. In the real estate market, the supply surpasses the demand, but you will find lots of ways to sell your house effectively. We’ll offer you a few guidelines to successfully sell your house. First impression lasts so your house should have a particular impact when a buyer sees it the very first time. You should place yourself in the shoes of a buyer and appraise the curb appeal of your house. Head out into the streets and have a look at your property to view all of its faults. Is it appealing enough to offer a good impression to a possible buyer or does it need maintenance that you have always been delaying? The first thing that a potential customer would see is the exterior of your property and believe it or not, most of them pay attention on how their new house would look like in the outside. You need to prepare everything and repair everything. If you’d like to draw in the potential buyers, you have to make enhancements in your house. You’ll have to improve the interior and outside of the house so it could be appealing to the buyers. In case you are going to sell your property, you need to check everything that needs to be fixed and make improvements accordingly. Nonetheless, make sure that you will not over improve because there are improvements that could not make a big difference. Upgrades can increase the value of your home and its chances to be sold, but you cannot make improvements that will not pay in the long run. You have to make your research and invest in things that would provide the best return. When you say clutter, these are the things that should not be inside the house when you are selling it. You’ll have to get rid of your personal items, collectibles and art works because it’ll not help you in selling the house. Eliminate all the things that are not required and just leave the furniture to make the rooms larger. The main aim of doing this is to help the buyers visualize what they really want to do in your property once they bought it. When they enter your house, they will start to imagine what they really want to add so you must eliminate the unnecessary and personal items inside the house. It is going to surely be difficult for them to do this if your personal items are inside your home. If you’ll sell a home in [LOCATION], you should put a competitive price for your home. It you will actually place a lower price, it’s similar to leaving money on the table, but placing a high value is a not recommended either as the buyers will overlook it. With regards to home buying, the buyers will always have a look at the homes that are similar with yours and they’ll compare the costs. If your home is very costly, they will not even think about it as one of their alternatives. You must know that most of the customers are only depending on home financing so they will not choose a house that is too costly. If you put a low price, you could sell the house quickly, but your investment won’t be given back to you. You’re making an error if you think that one could sell your house by yourself. If you are not really a professional real estate agent, it’s going to be difficult since you don’t have the knowledge and experience to do this. If you will do this on your own, it is feasible that you will not be able to sell the house or you will not obtain an excellent deal. You might get fortunate and get a good deal for the house, but you can’t count on luck when you are selling a house because we are referring to a huge amount of money. You can hire an agent and allow them to do everything. You will certainly need to pay them, but this is better than getting a bad deal as you do not know anything. Before you sell your house, make sure that you consider all of these ideas so you won’t make an error. 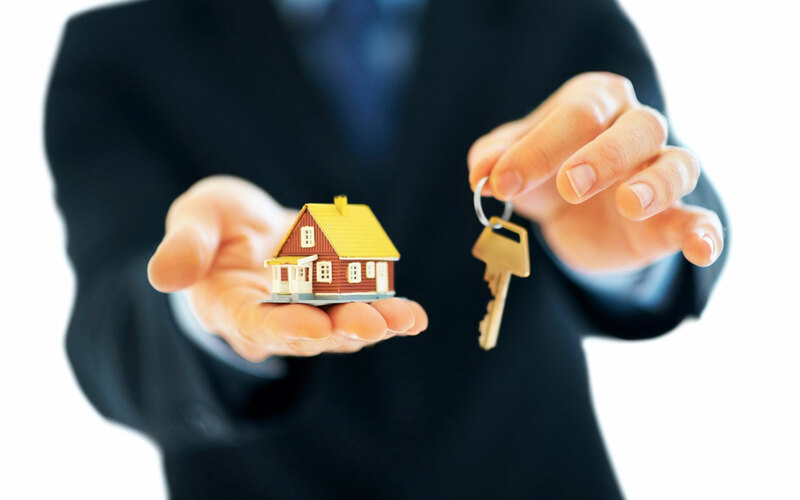 It is quite difficult to sell a property so you should know everything and anything about the real estate market. You might want to consider investing in rental properties. However, you can’t get started in real estate investing before you learn a little bit more about it. Rental properties in particular are still overlooked by many investors, even though they can bring in an excellent return. The first thing is to find something with a good return on investment. To invest in the illiquid asset that is real estate, you will have to take money out of your liquid assets. You need to strive to get a return rate that is the same as what it was on your liquid assets. This means that you should find a true cash flow property, and not a money pit. In terms of real estate, therefore, you should look not for appreciation but rather for cash flow. Cash flow is what actually comes into your bank account from your rental properties after you have met your financial obligations. What you should do is leave your cash flow alone, and keep that as savings as much as possible. Additionally, as your rent goes up over time, so will your cash flow. This is particularly true if your mortgage payments stay the same. The best cash flow is at least 20% of your overall income from the property. There are a number of free to use cash flow calculators available online and you should use these at much as possible. For those who don’t have a lot of money to put down on a property, it will generally be a lot easier to still get started in it if they are younger. If a bank is to provide you a mortgage for a rental property, they will usually want you to put at least 20% down. This can be a significant amount, particularly if the property needs repairs as well. However, banks tend to be a bit nicer to younger people. Real estate investing does involve a lot of other things as well. Of course, one place to start is actually finding a property. If you want to find a property, however, you need to have the time to do a lot of research and you must analyze your options. You also need to spend some time looking for a realtor that can represent your interest. Thanks to their help, you should be able to find properties of interest. You will then also need to learn about and research what it means to be a good landlord, which takes a significant amount of time as well. However, do always remember that it is absolutely worth spending this time.